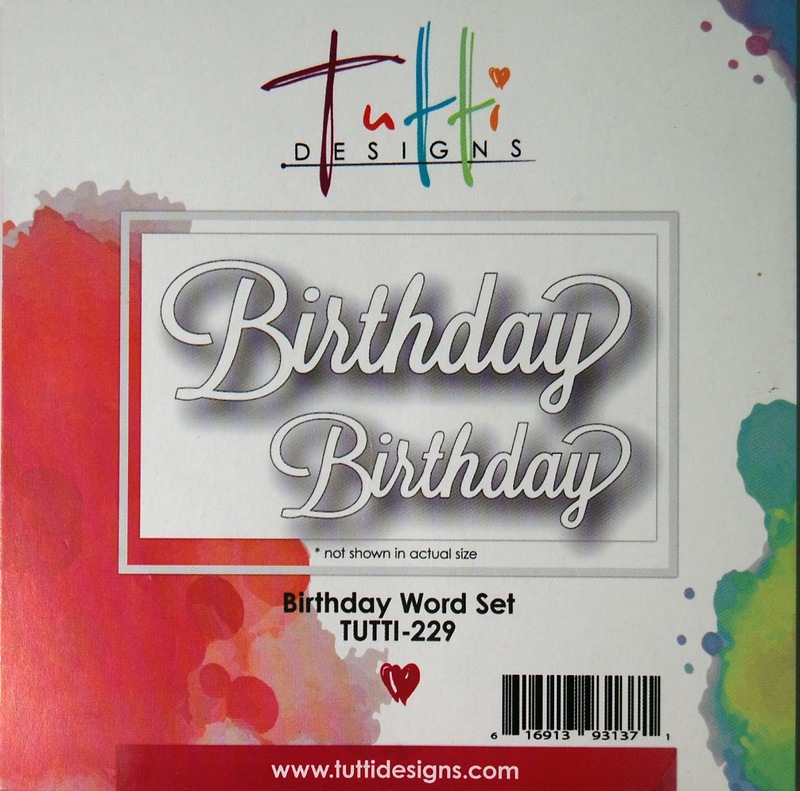 Tutti Designs: For Your Valentine Birthday! Vicki here sharing my first February inspiration project. January is behind us and we are celebrating February, the month of love. I've been on a roll creating Valentine cards and today is no different. 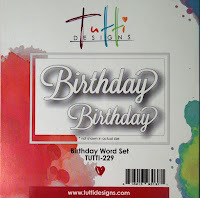 I have a very dear cousin that will be celebrating her birthday on the 14th and this one's for her. 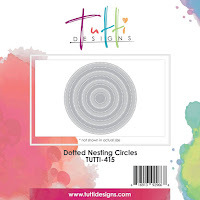 Today I'm using Tutti Designs Dotted Nesting Circles, Flower Cart, Nesting Stitched Hearts, Happy Word Set and Birthday Word Set on my card. 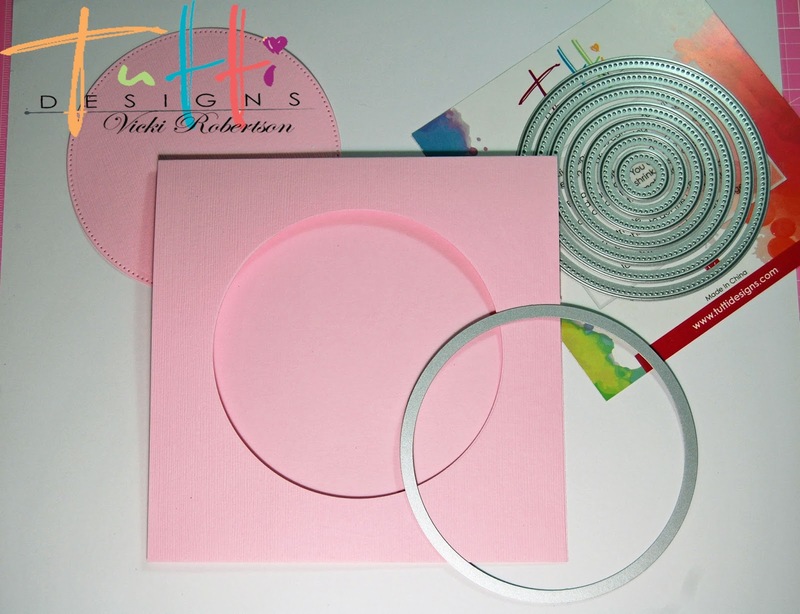 I've created a square 6" x 6" card, which happens to be my "go to" size when making cards. There's something about having 4 symmetrical sides that makes me feel like I'm working on a mini layout. I layered a tiny honeycomb print over the pink base. 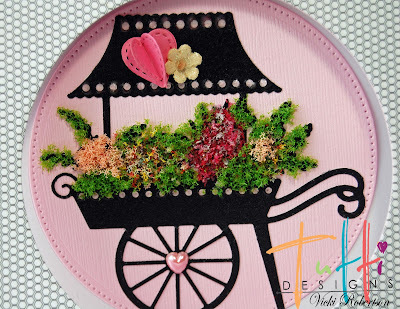 The circle cut out frames the colorful flower cart focal point. I used the largest Dotted Nesting Circle to cut a hole in both the cardstock base and patterned paper. The pink circle cut from the card front is adhered inside the card and acts as the background for the die cut Flower Cart image. And, then...the fun began! 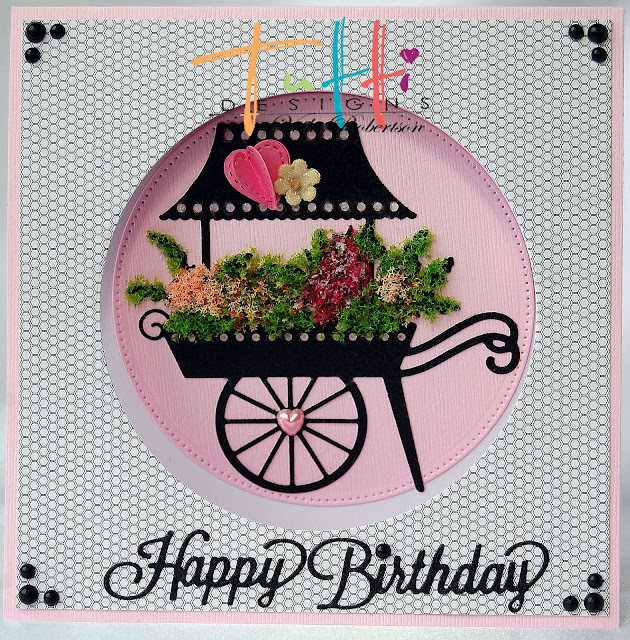 I cut the flower cart from black glitter paper and adhered it to the pink circle inside the card. 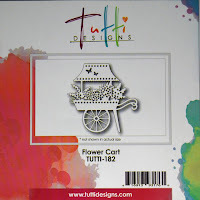 Next, I started adding Flower Soft to fill in the floral arrangements on the cart. I made a tri fold heart to embellish the top of the flower cart using small hearts that are scored and adhered together. A pink heart is the wheel hub. I was so thrilled with the results using the Flower Soft! Thank you for stopping by to share my Monday Valentine inspiration for Tutti Designs! WOW! 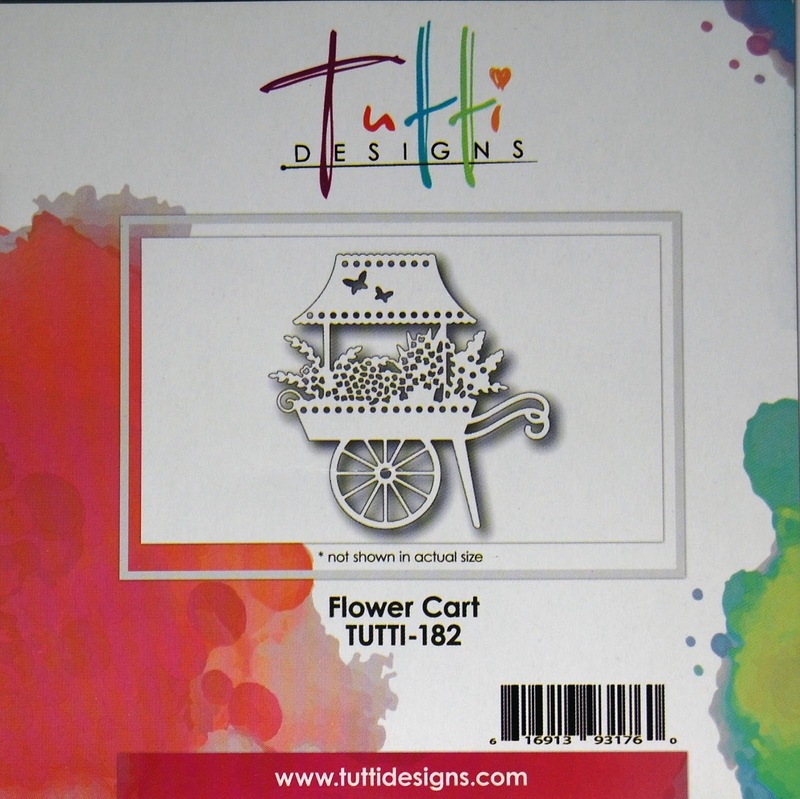 This flower cart is just gorgeous!! Love your open design and the flowers are perfect! 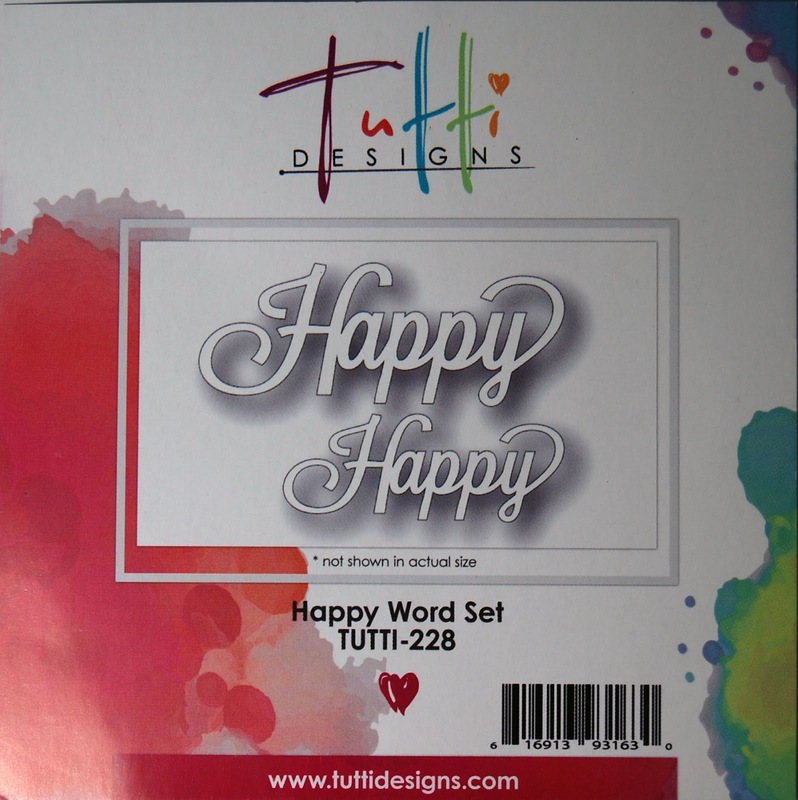 Awesome inspiration using so many wonderful dies! Thanks! Gorgeous card, I am loving the flower soft!! Love all the fun texture..so pretty! Awesome, love the bold look to this card, eye popping, way to go!